Another Savio senior is state-bound after an amazing run at regionals! The boys and girls tennis teams played the TAPPS 1-5A Regional Tennis Tournament at the Waco Regional Tennis Center on March 28-29, and this year, the tournament was tougher than ever! Four new schools were introduced into the tournament for a total of eight teams. Midland Christian, Grapevine Faith, Southwest Christian, Fort Worth Christian, St. Michael's, Regents, Hyde Park, and St. Dominic Savio all fielded players in every division. Savio had 16 of its top players participating in the tournament. Nicholas Butler and Quentin Marshall played boys' singles. Thanh Tran and Isabel Helal played girls' singles. 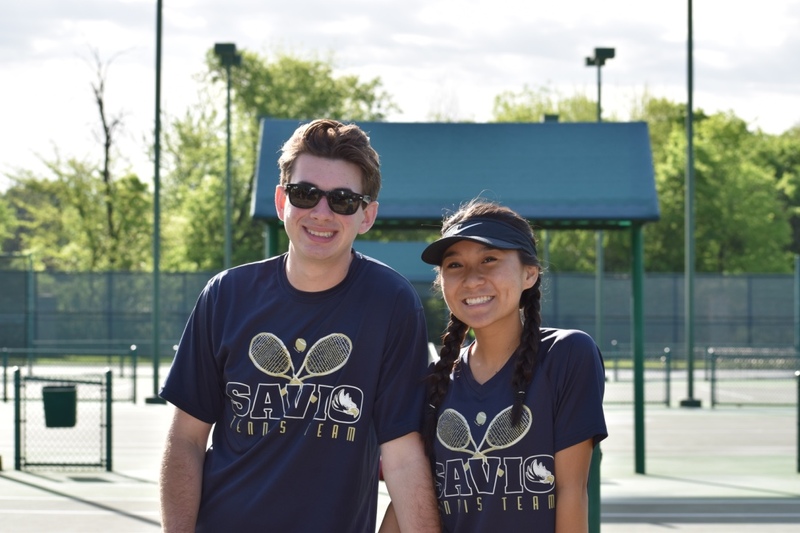 Doubles teams included Patrick Miles, Pedro Untalan, Conor Woods, and Nicholas Bianchi for the boys and Andrea Nguyen, Abigail Staebel, Blaise De Oliveira, and Mikayla Morgan for the girls. Ethan Janecka, Izabella LaPointe, John Paul Frew, and Tulan Le also played mixed doubles for the Eagles. Nicholas Butler and Thanh Tran are this year's standouts from the tournament. Both players are seniors who have played since their freshman year with head coach Garrett Pekar. These two both played their hearts out and never gave up through all the long matches to achieve recognition for themselves and their school at regionals. Butler won the regional tournament last year with partner Peter Spangler in doubles, but singles was a whole new ball game for him. He worked hard all summer and fall to prepare for a run at singles this year. It took every ounce of that determination to face some of the other top players from the region. Butler won his first round 6-0, 6-0, and then went on to beat the fourth seed, Kyle Webb, 7-6, 6-4. In the semifinal match, Butler lost to the tournament champion, Alex Cooper. He was set for a showdown for 3rd and 4th place with Colson Stokes, a highly decorated player in the USTA super championship division. Butler played the match of his life! By staying confident and sticking to the plan, he pushed stokes to his breaking point. Butler lost the match 4-6, 3-6, but won a tactical victory by forcing his opponent to play into his style--something most super champs don't ever do no matter who they face. Because he had already beaten the fifth place finisher, Kyle Webb, Butler secured fourth place and his state tournament ticket! Way to go Nick! Thanh Tran played some of the best tennis of her life at this year's tournament, and it couldn't have happened at a better time. After not playing in the regional tournament in her freshman year because of a wrist injury, Tran slowly became a tougher and more committed player over the years. She practiced hard, when she did get to practice. As her game improved, her attitude on court changed too. She showed pure determination and focus in this year's regional tournament when she was able to turn the tide when she was behind in score a couple of times and still got the victory. Thanh won fifth place at regionals by defeating Rachel Whittenburg of Hyde Park 8-6. These two had some of the longest, nail-biting points ever! She is this year's girls' singles alternate for the state tournament. Awesome job Thanh! It was an exciting and exhausting tournament at the end with its share of ups and downs. All the players worked hard in their matches and in support of their teammates. The Eagles tennis team represented the school with integrity and sportsmanship at the tournament on and off the court, as commented by the tournament director and TAPPS officials. State is coming up soon on April 12-13! Let's keep Nicholas' spirits soaring high to this final meet of his high school career! 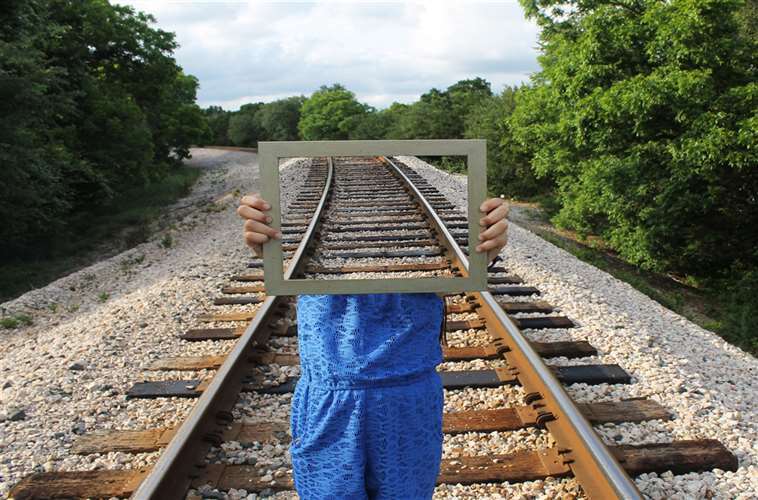 The Scholastic Art and Writing competition is the oldest and most prestigious high school art competition in the United States. 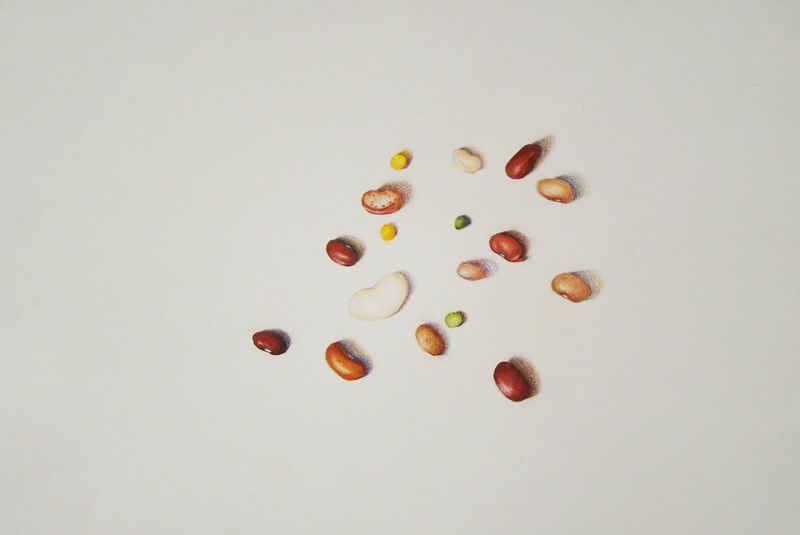 This year three Savio students have won the Scholastic Art National Gold Medal. We congratulate Maddee Miller, Olivia Ramirez, and Elyse Garcia for receiving this national recognition for their artwork. All three students have been invited to the awards ceremony at Carnegie Hall in June receive their official recognition. As a school, we submitted 60 works of art to the regional competition and won a total of 29 awards. Of those 29 awards, nine were chosen as Gold Key awards and were automatically submitted to the national competition. 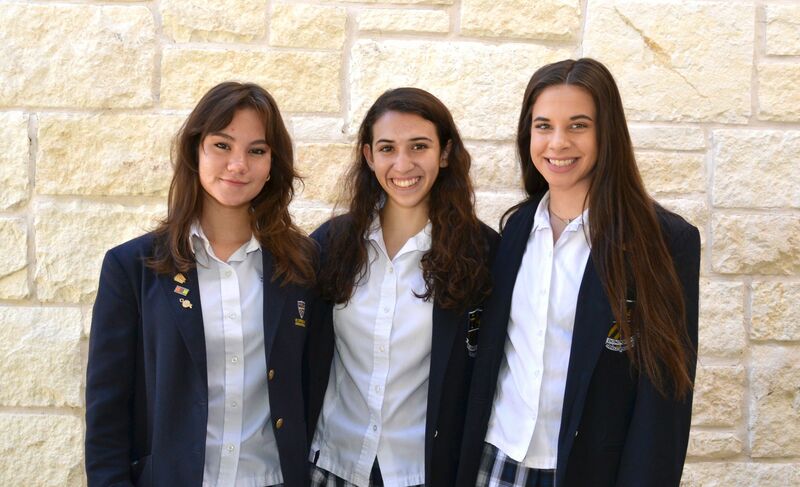 Of those nine, the three winners, Maddee Millar, Olivia Ramirez and Elyse Garcia received the highest award. The three students will be recognized at the next assembly. Other recipients that have received this award include a few well-known artists such as Andy Warhol, Stephen King, Zac Posen, Lena Dunham and Ken Burns. The Iron Eagles Silverbolt Robotics team advanced to the First FTC World Championship this weekend. The team advanced based on their rank after qualifying match play in the South Super Regional Tournament in Athens, GA. They will be competing at the World Championship Tournament April 19- 22 in Houston against US and international teams. Congratulations Iron Eagle Silverbolt Team! 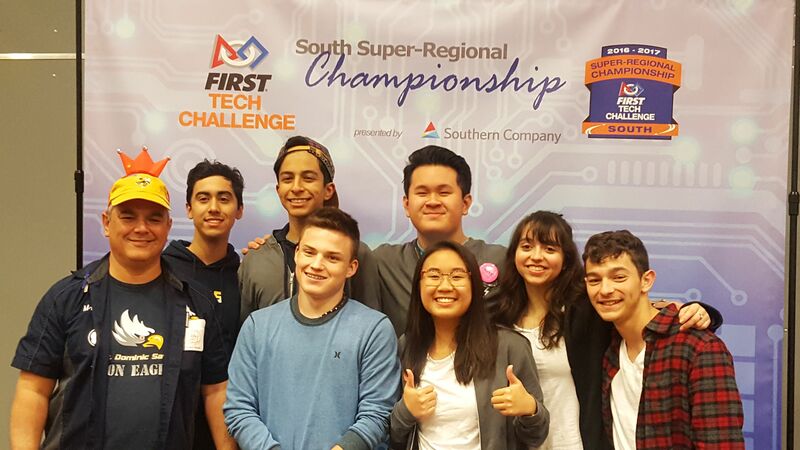 Team members left to right are Mentor Mike Gregorio, Raul Basualdo, Jovan Sigcho, Mackenzie Purdy, Minh Mather, Christine Baticados, Emily Basquez and Michael Schmude. *Not pictured is Mentor Michael Butler. All-State and All-District are post-season awards presented by TAPPS (Texas Association of Private and Parochial Schools) in all divisions of every sport. TAPPS is the state athletic association of private and parochial schools that Savio belongs to. Coaches from every TAPPS school nominate their individual athletes from their teams that they believe deserve recognition. 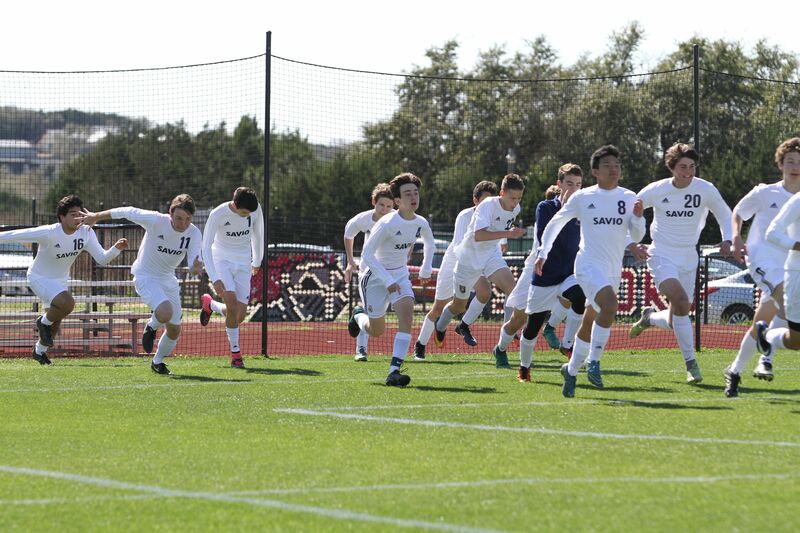 Recently, TAPPS held All-State and All-District meetings allowing coaches to select certain players to first team, second team, or honorable mention based on their season performances and season-ending statistics. Cory Cady (Goalie). 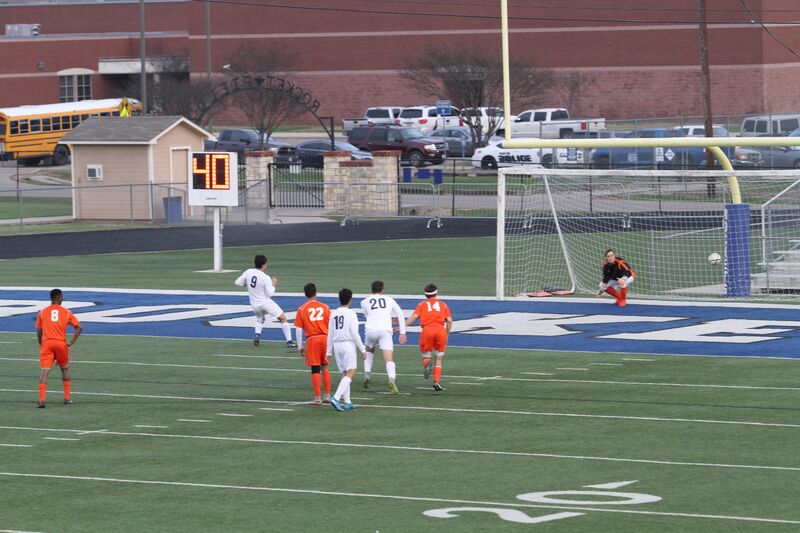 Along with the Savio defense, Cory set multiple goal keeping school records this season as well. Freshman Nathan French, with 17 goals during the season, was also selected as All-District, and voted top offensive player in the District, and was also selected as Honorable Mention All-State. Junior Kyle Gonsalvez, Freshman Brendan Mazzurana, and Seniors Mitch Romero and Cameron Henry were selected to second team All-District. 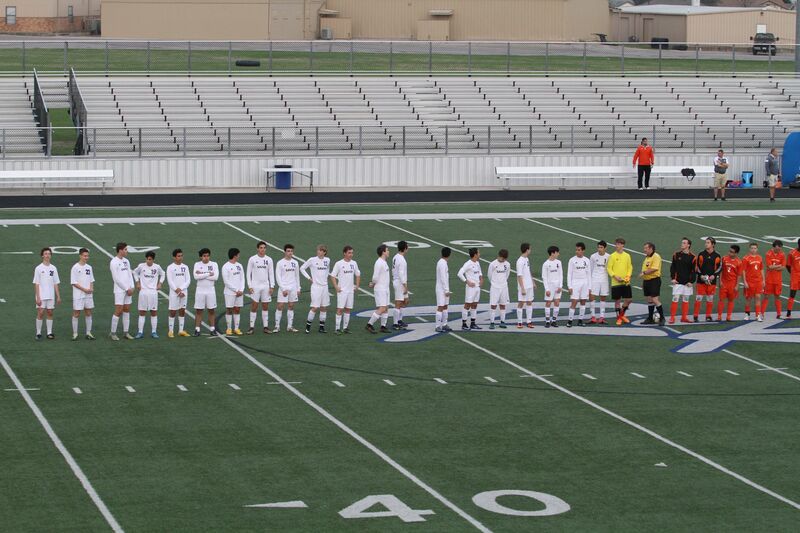 Christopher Gonzales, Joseph Figliozzi and Luc Nguyen were selected as Honorable Mention All-District. as well as Junior: Kyle Gonsalvez. Congratulations to the recipients on these well deserved honors, and to the whole Savio Boys Soccer team for a fantastic season, their best ever. Savio students celebrated Pi Day with a variety of fun learning activities to celebrate the number pi on Friday, March 10th. The students were in their house groups as they participated in a variety of competitive games that signified the number pi. National Pi Day is usually celebrated on March 14th, but with the spring break schedule, students celebrated before break with a Pie eating contest and other fun events where students participated in a variety of games with the number pi. One of the activities included competition among the Savio House families to find the person who memorized the most numbers in Pi. The Savio Filmworks team captured the events from the day, view the link here. On Wednesday, March 22, the Savio Personal Finance class visited Per Stirling, an investment advisory firm, and spoke with a Certified Financial Planner about investing, risks, and wealth management. Students built upon their prior knowledge about investing money, and took away some valuable lessons and resources about managing a portfolio. They were also engaged in discussions about different philosophies on investing, participated in an experiment demonstrating market efficiency, and asked pertinent questions about the CFP profession and wealth management. These lessons are important as we continue to form our students into successful servant leaders in the image of Christ. Hewlett Packard has been hosting a large computer science tournament in Austin for the last twenty years. Believed to be one of the top tournaments of the year, the tournament attracts not only all the Austin area high schools, but many top teams from around the state including Dallas, San Antonio, and many surrounding areas. Teams of up to three compete in a three hour programming competition in which over twenty problems of various difficulty need to be coded and submitted to be checked against the judges inputs. Each problem has a different point value, and problems ranged from basic cryptography to complicated maze puzzles. Over sixty high school teams competed in the 20th Anniversary of the CodeWars competition. There were two divisions, novice and advanced, and the top five teams in each division were recognized. When the dust settled, the Savio Novice team Giakhanh Hoang, Joel Uong, and Patrick Miles finished fifth. The Savio Advanced team of Emily Shoemaker and Jonathan Shoemaker won 1st place overall, holding off 2nd place LASA and 3rd place Westwood. We earned a nice trophy for our case and bragging rights for the year. Congratulations to both of our teams!